During a time when candles glowed in lieu of electricity, the Hill sisters of Kentucky spent their days playing music on the piano and singing. While Mildred tickled out tunes on the ivories, Patty strung together lyrics and sang along. This brilliantly illustrated children’s book depicts the achievements of a woman who developed an important system of classifying stars. To this day, Annie Jump Cannon holds the record for identifying more stars than anyone else in the world. In 1925, she became a professor of astronomy at Harvard and the first woman to receive a doctor of science degree from Oxford University. In 1901, Annie Edson Taylor got a big idea that she thought just might change her rotten luck. With the threat of the poorhouse looming over her head, she decided to make her own destiny by daring the impossible: barreling over Niagara Falls. In this bold, life-changing adventure, readers follow the sixty-three-year-old daredevil’s search for fame and fortune. History comes to life for young readers as they explore an alphabet of the life and accomplishments of Benjamin Franklin. Franklin was a printer, author, inventor, musician, scientist, and politician. His life serves as a reminder that through hard work and zeal, today’s children can be anything they dream to be. As author David R. Collins traveled around Illinois, librarians and teachers everywhere begged him to write a book about the noble Polish patriot, Casimir Pulaski. The teachers complained that there was a Pulaski state holiday, as well as Pulaski towns, schools, and streets across the country, yet few students know who he was or what he did. Mary Cassatt (1844-1926) was born in Pennsylvania and later settled in Paris. Through her long friendship with the artist Edgar Degas, she met the painters of the Impressionist school and frequently exhibited with them. Cassatt for Kids contains 10 of her most beloved paintings, including The Bath and Children Playing on the Beach, in a toddler-friendly board book format. It has been estimated that approximately four hundred women disguised themselves as men to join the Buffalo soldiers; however, only one case has been documented. Cathy Williams enlisted as William Cathay and served for two years before anyone discovered she was a woman. To this day, the former slave is the first documented woman to serve in the United States Military. 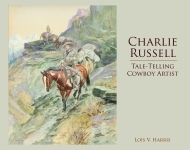 Charles Marion Russell was the first artist to live most of his life in the West, sketching and painting not only from live subjects, but from actual experience. Becoming a frontiersman at a young age in 1880, he rode and worked with horses on a daily basis, something that no other Western artist had done before. This biography for children is the first of its kind about Russell, and the subject’s own vibrant paintings illustrate his life story. It follows Russell from his school days through adulthood and reveals how he held on to his dreams, living out a child’s cowboy fantasy. “Stay there until the war is won,” Pres. Franklin Roosevelt said to Chester Nimitz after Pearl Harbor was bombed on December 7, 1941. Nimitz rose to the challenge, eventually becoming commander in chief for US forces in the Pacific theater. The remarkable life of Chester Nimitz is presented for young readers. Christopher Newport made history when he founded the first British colony in America. Discover how the young lad from Harwich, England, came to command three ships destined to reach the New World. This biography takes readers on Newport’s adventures of the high seas, full of sword fights, exotic foods, and shipwrecks. Join him on the journey to America, the quest for the elusive Northwest Passage to China, and beyond. Davy Crockett’s life on the frontier, accomplishments as a soldier, and career as a politician are expertly detailed through the letters of the alphabet. In entries such as A is for Alamo and B is for Betsy (the name of his famous rifle), Crockett comes to life in this biography for young readers. Complete with a timeline of important events in Crockett’s life and vibrant illustrations, this is a must-read for young students of the legendary man. “Be always sure you’re right, then go ahead” and explore the life of this American icon. Presenting the lives of more than twenty aviation luminaries from throughout history, this middle reader is a captivating celebration of man’s aspirations for the skies. From the story of the Wright brothers to that of Alan Shepard, Jr., the author, himself an experienced pilot, introduces young readers to the history of modern flight and the inspiring figures who followed their dreams to navigate over vast oceans, set altitude and speed records, pioneer stunt techniques, and eventually rocket into the great abyss of space. The National Cherry Blossom Festival in Washington, D.C. is held annually in remembrance of the first cherry tree planting on March 27, 1912. Now an international symbol of peace and friendship, the trees first came to the nation’s capital from Tokyo, Japan, at the insistence of Eliza Scidmore. The history of Florida is full of the names of famous men and women who made significant contributions to the world in a broad range of categories: exploration, government, invention, literature, development, entertainment, space exploration, and many more. Floridians All is an introduction to the many people who have achieved fame through work they did either in Florida or from Florida. Hardcover. Through the thorough research of author and vivandière Stephanie Ford comes a compelling collection of stories of remarkable women from both sides of the American Civil War.